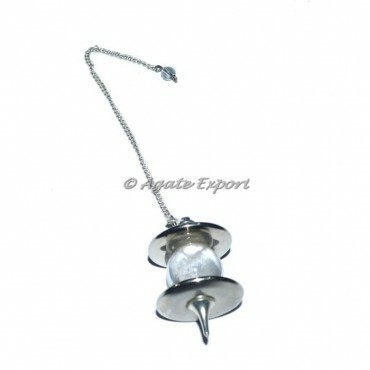 Here is the exclusive collection of Silver Plain Steel Pendulums in Wide range. Silver Plain Steel Pendulum is the amazing healing pendulum with lots of positive vibes. These pendulums are available in size of 20 to 40 MM and 25 to 40 gram Weighted. Order online as soon as possible.